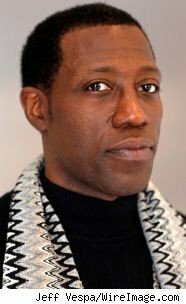 Just weeks after a federal appeals court upheld Wesley Snipes' 2008 three-year sentence on misdemeanor counts of failing to file tax returns, Snipes is again trying to avoid prison. The "Blade" actor has filed another motion in court, this time alleging judicial misconduct. Snipes' initial appeal focused on what he considered to be an "unreasonable" sentence. He believed that he should serve, at most, time on probation. A panel of federal court judges disagreed, paving the way for Snipes to serve time in prison as originally ordered. The most recent legal action has given Snipes a bit more time to enjoy his freedom. He now doesn't have to report to the Bureau of Prisons on September 2, which was the date allegedly given to Snipes by a U.S. marshal. Snipes is specifically arguing that he is entitled to a new trial because three of the jurors allegedly remarked that they would find Snipes guilty without hearing any of the evidence. According to his lawyers, he has the emails to prove it, though it's unclear why those emails were not disclosed earlier. Snipes also alleges that the prosecution failed to disclose details of criminal charges which had been filed against one of the witnesses and Snipes' former accountant, Kenneth Starr (no, not that Kenneth Starr). There has been no ruling yet on Snipes' latest request.